As it celebrates its 10th Anniversary DigitalCity can reveal the digital economy is now worth £174m annually to the Tees Valley - and £62m to Middlesbrough alone. DigitalCity, Teesside’s digital supercluster, has over the past decade made a massive impact on the regional economy rejuvenating business, buildings and stimulating employment. DigitalCity was set up in 2004 to 'to create a vibrant, successful and self-sustaining supercluster based on the digital technologies, digital media and creative sectors and their enabling capabilities'. Today Middlesbrough and Stockton are ranked at number 16 in a list of the UK’s digital hotspots by the National Institute of Economic and Social Research, the only hotspot north of Birmingham. 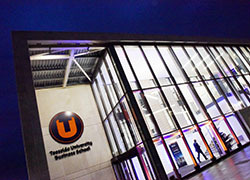 Teesside University has always been a front-runner when it comes to computing and digital with a world-class reputation. It was this reputation for excellence that led the DigitalCity initiative, to harness the ability of students and encourage them to turn their skills into businesses. 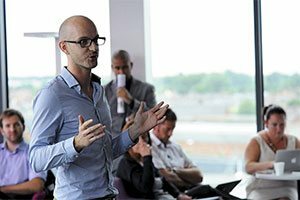 Long before boot camps became familiar in the tech world DigitalCity launched its fellowships to support fledgling businesses offering support and access to the best mentors in the business and digital sphere. Meanwhile the Boho One building in Middlesbrough was established to offer start-ups a social space, affordable rents and a package of support to aid their transition into the successful business world. 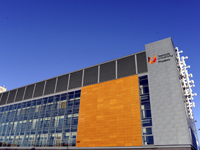 The result of this ‘Garages to Global’ philosophy has been the emergence of award-winning companies such as games studios Double Eleven and Coatsink Software and innovative digital companies such as Sound Training for Reading, that can improve a child’s reading age by two years in six weeks and Transfer Go, which last year had a £12m turnover. Cutting edge companies such as Animmersion are making very real differences in the way in which we live our lives – its ‘Pain Garden’, developed together with Professor Denis Martin at Teesside University, and Arthritis UK, is giving sufferers of severe pain a new way of describing the impact of pain on their physical and emotional wellbeing. Other companies such as Spearhead Interactive are using gaming technology and virtual reality equipment across a range of sectors including off-shore engineering. 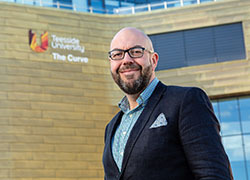 David Jeffries, Head of DigitalCity, said: 'DigitalCity was created to capitalise on Teesside University’s expertise in the technology sector 10 years ago by giving a framework of support for digital start-ups and entrepreneurs. 'Long before boot camps and accelerators were well-known DigitalCity fellowships gave enterprising graduates access to world-class mentors and facilities. 'We’ve seen over the past 10 years DigitalCity grow from an idea into a project that is making a massive difference to the economy of the Tees Valley and the North East region as a whole. 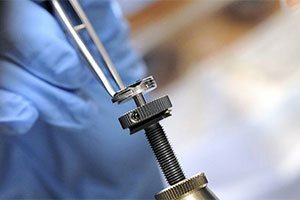 'DigitalCity companies are developing cutting-edge technologies used in medicine to save lives; they are creating independent games studios with an international reputation and supporting hundreds of jobs regionally. Stephen Catchpole of Tees Valley Unlimited said: 'DigitalCity has created a significant number of digital firms in the Tees Valley and supported many more. 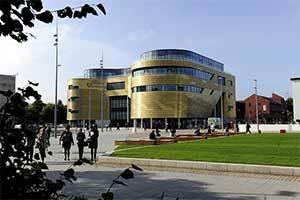 'The Digital growth in the Tees Valley has been driven by DigitalCity and Teesside University’s digital expertise. DigitalCity- Middlesbrough's fast-growing digital cluster- is about to celebrate its 10th birthday, and boss David Jeffries is ready to take things to the next level. 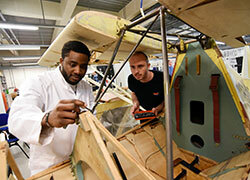 The digital economy in the Tees Valley is now worth £174m annually, according to research by the DigitalCity project. DigitalCity, Teesside's digital supercluster, has over the past decade made a massive impact on the regional economy, rejuvenating business, buildings and stimulating employment. DigitalCity is a Teesside-based cluster of digital media and technology enterprises now celebrating its tenth year. 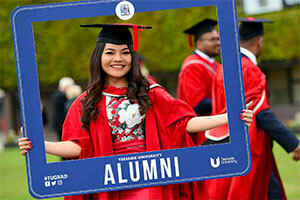 A project set up by Teesside University almost ten years ago is now worth more than £60m a year to the town's economy. 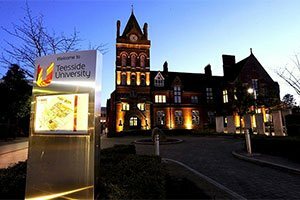 Teesside University's digital supercluster is worth £174m to Teesside- and £62m to Middlesbrough alone. Starts ups and innovative digital projects are fuelling a multimillion pound digital economy centred around Middlesbrough.